The surrounding views are something that you'd expect to see in a post card . . . 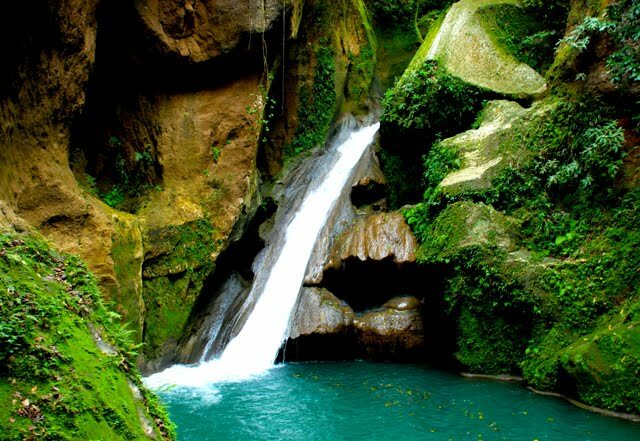 But this is Jacmel, Haiti. Founded in 1698, Jacmel is a beautiful picturesque town in Haiti, located in the South East part of the country - just two hours drive or 15 minutes by plane - from the Capital Port-au-Prince. 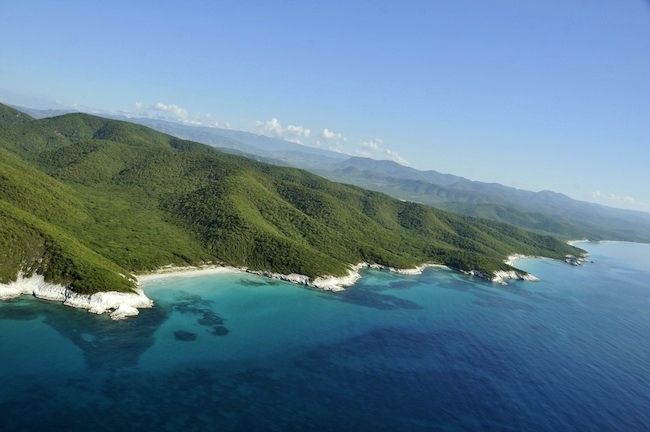 Jacmel posses one of the most diverse coastline in the Caribbean - Beaches range from white as snow to dark as charcoal. 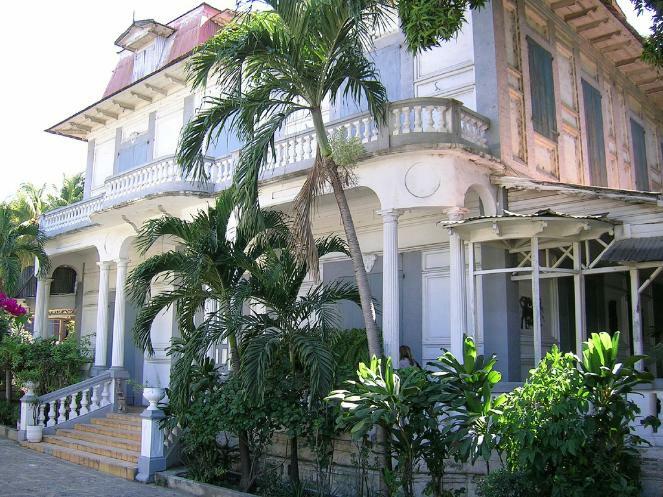 Jacmel is known for its 19th century colonial houses, which were inhabited by wealthy coffee merchants, still preserving all their charms of yesteryear. 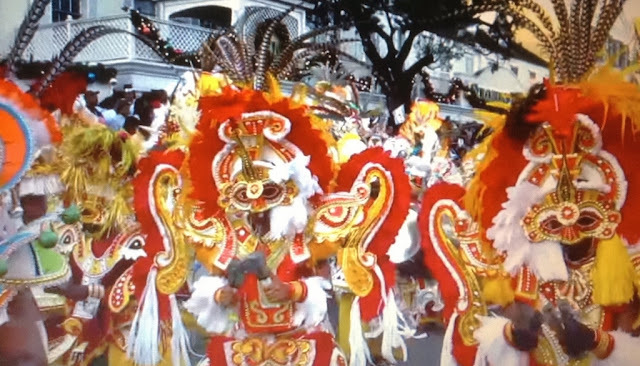 The city of New Orleans was designed after Jacmel. When you hike to the Bassin Bleue (pictured above) - the pristine, natural unspoiled mother nature little hidden secret. You hear birds singing, colorful lizards crossing your paths, goats and sheeps are roaming in the wild, and the sun shining through the tall Mapou branches. Jacmel is thriving with Art, and that's where it got its nickname - Art Capital of Haiti. Caribbean. Art galleries are everywhere, and not so successful artists, hang their artwork on buildings' walls along the streets. 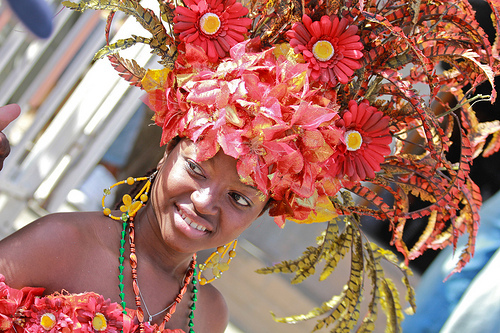 Jacmel's Carnival is a celebration of the beauty, history and power of African Culture of the diaspora in Haiti, the Caribbean, and a major contributor to the world cultural history. Many thanks to Sidney Noel for providing another view of an island that is not on most vacation lists of Caribbean islands to visit. The closest most American tourist get to Haiti is via cruise ship on Royal Caribbean's private island Labadee. The beautiful private island is located on the northern coast, and provides guests with a day of fun and sun, but offers no true cultural experience of Haiti and it's history. Cruise guests are not allowed to leave the island, and it's actually fenced in. Experiencing the local culture of any destination is the REASON for travel.